Feel free to browse more of our previous shows in our Video gallery. Wedding Displays are really gaining in popularity, A Wedding Firework Display now being a "Must Have" with many Brides and Grooms choosing a huge Fireworks Finale to make a statement and launch their Wedding Celebrations into the Heavens. We extensively cover the Midlands region of England (United Kingdom) and fire shows throughout Great Britain providing a bespoke, personal - yet Professional Fireworks display service, fully insured for your peace of mind. 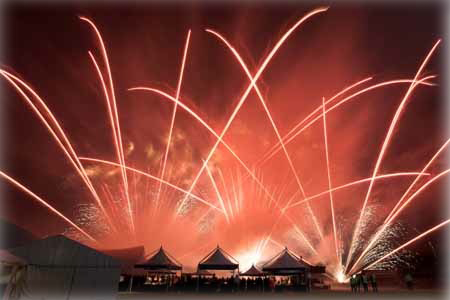 Wedding Fireworks Displays based in Coventry and Birmingham. Spitfire provide Championship winning Fireworks for Weddings, bringing your celebrations to an earth shattering unforgetable climax. Our wedding displays have brought happiness to many Brides, grooms and guests all across the country. Spitfire Pyrotechnics are a fully registered and insured fireworks company providing professional firework displays throughout the year. This is Spitfire's Speciality. Choreographed from a passion for fireworks and a musical talent that is artistically represented with each punctuation. Displays by Spitfire Pyrotechnics are second to none!. You will be guaranteed a customised Fireworks display to music of your choice. Our Music displays are fully choreographed and synchronized to a level that has won the British Music and Fireworks Championships two years running! - Visit our Video Page to view spitfire pyrotechnics bringing the music to life. Our unique pricing structure offers you far more flexibility to customise your individual firework display. This allows you to tailor your Display, getting the very best Fireworks and great value for your budget. Package displays are also available and are guaranteed to please the eye. Launch your companies image with a stunning Fireworks display to achieve incredible patterns and Symmetry, which will leave your clients suitably impressed. In turn, have the company party go off with a earth quaking bang and leave your employees smiling with glee. 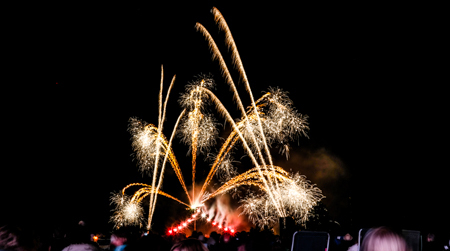 All of Spitfire's Fireworks Displays are built to exacting standards using the very best of Fireworks from such Firework importers as; MLE Pyrotechnics, Kimbolton, Pyro-vision and Sandling fireworks. This means they are not limited to one importer allowing us to select the Highest Grade materials available! 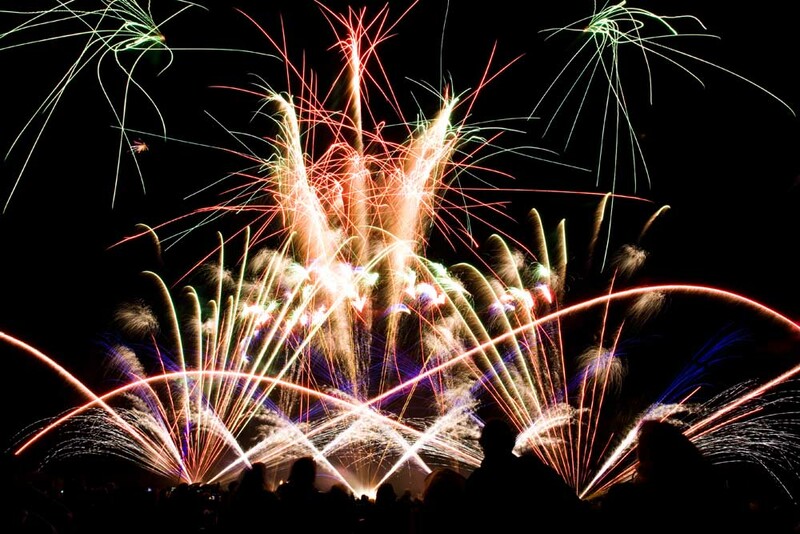 Spitfire provide premium quality - firework displays. Corporate Fireworks, Wedding Fireworks, Birthday Fireworks, Anniversary Fireworks, Valentine day Fireworks, New Year fireworks, Christmas lights Fireworks and many more. A special individual display for all occasions. Our unique combinations of special effects create lasting impressions on your guests. We perform our magical fireworks displays within; Coventry, Nuneaton, Birmingham, Solihull, Stratford upon Avon, Warwick, Rugby, Leicester, Lichfield, Banbury and beyond, We are conveniently situated in Warwickshire - West Midlands between Coventry and Birmingham. You really have no need to go anywhere else for your wedding fireworks, we will come to you!